"Your hallowed Name O may I bear with honor..."
By the world's standards, my own, or God's? Preparing for a writer's conference can be all encompassing and it's so easy for my focus to shift to what I'm writing instead of for Whom I write. Has it - my writing - become my idol? Has polishing a manuscript become more important than allowing God to perfect my spirit? I believe that I will heed Rachel Phillip's directive to pray that we - I - will please my audience of One today, this week, and as I prepare for conference. I have some work to do on that? How about you? Have you let something you are doing FOR God become more important than what you are allowing God to do in you? How's your honor as a Christian? Mine needs some work. Scripture. Prayer. Meeting with God. Heavenly Father, don't let me become so intent on following the plan that I forget to talk to the Planner. Don't let me become so busy doing things for you that I have no time left for you. 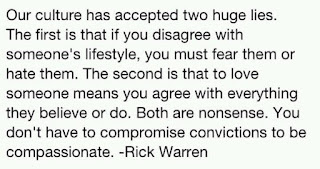 And please forgive me because I am guilty of both. Help me to remember that you are my Salvation, my Source and my Strength, and help my grateful heart to bear your Name with honor. Amen. I awoke this morning with this scripture and a new understanding of it in my heart. I love it when God does that! Until now, every time I have ever read or recited these words I assumed it meant that I was to look for the good in the day and embrace it. Today I think that is just scratching the surface. Look at the directive: "Rejoice and be glad in it." Period. No excuses or "yes but's". Just rejoice and be glad. Then I think of the day ahead of me and all its challenges - personal and professional, and yes, spiritual. I'm not sure I can do it. Then God nudges me again and takes me a little deeper. all to keep us moving toward Him? What do you face today? Does it make a difference to you that God has perfectly orchestrated this day because it is the day you need? I think it does make a difference to me. Today I will repeat this verse often and let it remind me that "rejoice and be glad" does not just relate to the good in the day. It recognizes the beauty and victory that the Master creates whenever He puts His hand to something. Read Romans 8:28. Father put your hand to me today. What do you think? How do you interpret this verse? Yesterday we attended the funeral of my husband's (distant) cousin. He was 24 years old and he committed suicide. The final part of the funeral was a slide show of his life. We watched as pictures of this precious little boy moved across the screen and we watched him "grow up" right in front of us. I found myself watching his eyes, wondering if I would see when the light of that precious little blond boy started to dim. When did life become too difficult? I don't know. We may never know. 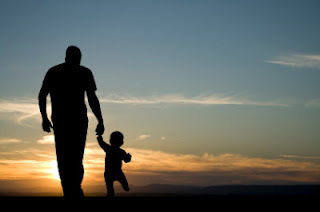 3) we can see them as God sees them, imperfect (just like we are), needing God's touch (just like we do), and we can give them the experience - at least once this day - of knowing that someone sees the value and the image of God in them. We never know what people are facing in the quiet places of their hearts. Some people walk around in constant, agonizing spiritual and/or emotional pain. As Christians we have the opportunity and the power to CARE for each person we meet; to CAREFULLY handle them and their issues. No one should ever be worse off after contact with us. I have had another reminder of the fragile nature of humans. Yes God made us resilient and strong, and yes, people have survived amazing tragedy and heart break, but we still have the potential to be broken. Ask God to make you aware today of each soul in your path. Pray for them. Ask God to provide according to their need and his abundance. Be ready to be the hands and heart of God to each one today. "...we are precious in his sight, Jesus loves the little children of the world." I used to be organized. You know, one of those people who had lists and referred to them frequently throughout the day. I've had episodes during which everything - everything - was in it's assigned place and I knew what was coming next. I loved it. I don't really remember that life anymore. I can't tell you what happened, I just know that I seem to be flitting all over the place, and that is especially true when it comes to writing. What I don't have right now is a PLAN. Every time I check my email another writing opportunity or contest pops up and...you guessed it, I want to do it. Sounds like fun, sounds challenging, sounds right up my alley. I'm pulled in so many directions my head starts to spin. Why is it so hard to make a plan? I think it's because making a plan will get me somewhere, move me toward a destination, a goal and I haven't yet decided what I want that to be. I can't do everything - not well. I need to choose a focus for now, and eliminate all other distractions until that goal is met. I need to schedule writing, reading and editing time. I also need to schedule down time away from the writing. God has called me to write, but he hasn't given me leave to neglect my husband or family or other things that are important - time with Him. Are you having trouble making a plan or sticking with one? Maybe that's because you haven't clearly identified your goals yet. My goal this week is to create a plan with focus. To decide what my goal is - for now - and make plans to get there. For me, a good starting place right now is getting ready for conference. That's coming up soon and not something I can push back if I'm not ready. What about you? How do you stay on track? What's your plan? First a caveat...there is NO WAY these pictures do justice to the beautiful creation that emerged before our eyes. We took pictures with little cameras and cell phones, but even so, they are amazing. We are at Camp Braveheart, our bereavement camp for children ages 7-14. It's Saturday morning and we are gathered in the auditorium with the windows and 3 sets of glass double doors covered with black plastic. Sixty children and twenty plus adults sit in rows of chairs like church, absolutely spell bound. Jim takes the microphone and tells the story of how God brought him to this place and developed his talents, and he talks about storms and trusting God. Then he starts to sing. Oh my! I can still hear his deep, mellow voice belting out "PICK IT UUUUUUUP, MOSES!" The beat of the music is strong and casts a spell over the audience. We are captivated. Do you see how the light from heaven is breaking though the clouds to shine down on the little boat being tossed about in the waves? Can you see it now? The little boat in danger from the waves and the rocks. There is a tiny little lighthouse on one of the cliffs, but our pictures didn't get it. What about all that white space at the top? The black light comes on and look who has the wheel! You should have heard the crowd! How did he do that? You'll have to ask Jim. Better yet, let him show you. It's so much better in person! James H. (Jim) Pence is a man of many talents. He’s a performance chalk artist, singer, speaker, published author, editor & collaborator, and in his spare time he teaches karate to home schooled children. Jim has been called a “Renaissance man,” but he prefers to be known simply as a follower of Jesus Christ and a storyteller. Jim has been published in both fiction and nonfiction. Jim's most recent book, "More God," the amazing true story of Nate Lytle, was released late in 2011. Jim posts regularly on the Word Serve Water Cooler blog, most recently this past Friday. Click here to read his post and to contact him. Jim has a true gift for ministry through art and story telling and I encourage you to consider incorporating Jim's talent and heart into your church or ministry plans. You will be mightily blessed. Jim, thank you so much for coming to camp. You and Laurel were so wonderful to get to know, and of course we could have watched you draw all weekend! 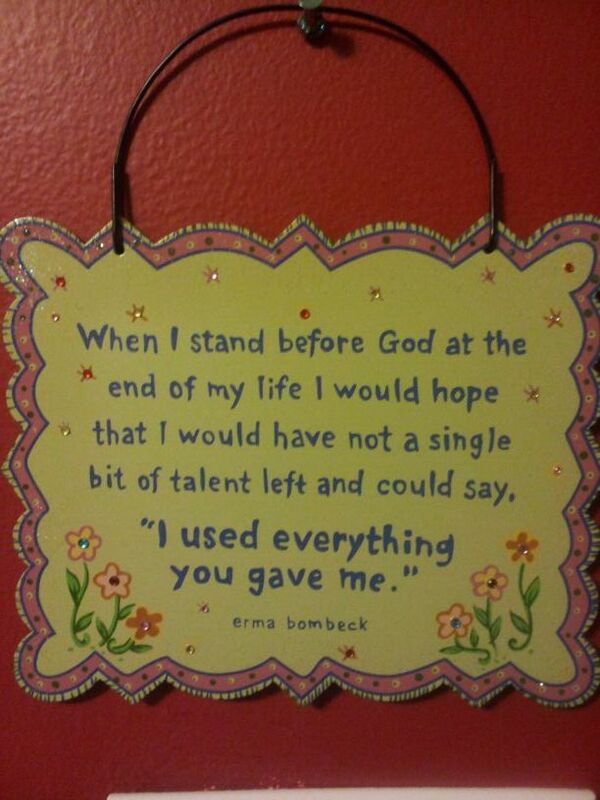 May God continue to use you and the amazing gifts he's given you. "Well done, good and faithful servant! You have been faithful with a few things; I will put you in charge of many things." and here comes my favorite part... "Come and share your master's happiness!" "share in our master's happiness!" I want that! Do you? What talents are you hiding because of fear? It's time to drag them out, dust them off, and offer them back to God. 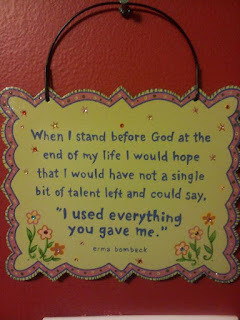 He will do amazing things with your gift and with you. You don't want to miss that! 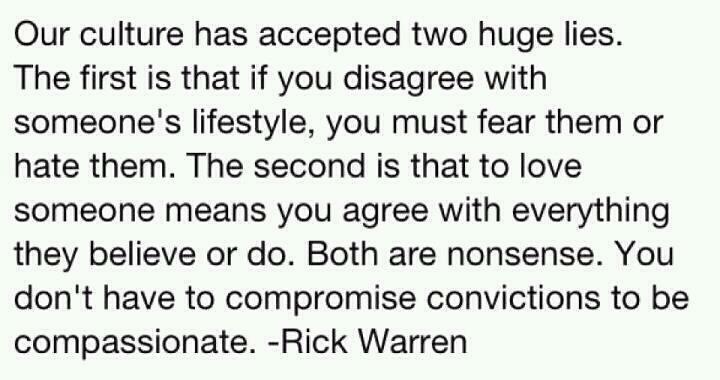 1) What do you think about this statement from Rick Warren? 2) How do you incorporate this belief into your own sphere of influence? Have you ever read a statement and thought, "that's exactly how I feel, I wish I'd said that"? Think about that for a moment. When Jesus was on earth he was focused on the people who crossed his path each day. Yes, he was actually here to save the world, but he never lost sight of those who needed his love and touch in the moment. I fail so miserably at this. I become so wrapped up in projects and getting ready for the future that I miss what's right in front of me - those divine opportunities to minister that he gives me every day. Jesus in skin...what a great picture that is! If you struggle with this as I do please click on the link below to read Caitlin's blog post. It will bless and convict you. Also, please feel free to share with me how you stay focused on today and loving people around you well. I could use the help! I'm tweaking lots of things in preparation for the ACFW conference in September, and sprucing up my blog seemed like a good thing to do. I've been at it for a little over a year now and have refined my focus a little. I'm still using the scripture from Esther but have now added my life verse from Jeremiah, and changed the title to my name. And it's purple! Well, lavender, sort of, or if you really want to be snooty about it - orchid. Purple's fine with me. The main thing for me is that it represents a few more steps in the journey for me. I've learned a little more about what makes a good website (that's in the works - stay tuned) and a good blog so I'm trying to put those things into practice. It's always such a learning adventure, isn't it? I hope that your own journey is going well. Whatever it is that God has called you to do, step out boldly and begin to follow Him. What needs sprucing up in your life? Whatever it is don't wait...take that first step today. Ask for God's guidance, which he will give, and his blessing, which he graciously and generously bestows every second of every day. Most of us aren't waiting to be perfect - we know that's not going to happen. MANY of us, though, are waiting to be just a little bit better before we begin. That implies that we can do it ourselves, and that sisters is a step down the path to disappointment and destruction. Like the little boy with the loaves and fishes just turn over whatever you have in your hand/day planner/work room/home/office/head/heart to Jesus. He's got a plan and he's waiting for you. I'm looking forward to the ACFW conference, but I don't want to miss God in the 40+ days before that. I'm remembering that in the middle of sprucing up I must be still and know Him. Every day. You too! Thank you for visiting today. I hope you'll take a look at my updates pages. I have pictures!! Remember, if you're reading this post I have prayed for you today. God is waiting to bless you. Someone sent me a story years ago about a man whom God told to push against a huge boulder. That was his job. He did it for years, day after day, until he was exhausted. The boulder never moved an inch. One day in his frustration he complained to God that he felt like a failure - like he'd been given an impossible task. God encouraged him to take note of the fact that he had a strong body, toned by the constant exercise. He had been obedient all those years. And... God said, "I never asked you to move the boulder. I only told you to push against it." As I watched the Olympics the other night I watched as one of the American gymnasts lost her chance to compete in the all around competition because of the weird - and frankly unfair - protocol they have regarding who may compete. I also thought about all the other athletes who participate with really no hope of winning a medal. Most of them are never even mentioned by name or seen on TV. Yet they come and give their best. I also think about the lifetime of training and sacrifice it takes to get there. Do athletes who go home without medals feel like their entire lives have been wasted? Or, do they live as one who has been enriched by the discipline and commitment that has marked the early part of their lives? Hopefully it is the later, although it might take some real grief work to get there, and that's a serious issue. As someone who aspires to be a published author one day I wonder the same things about my own journey. What if it never happens? What if I never get published, never sign a contract, what if I never even get an agent? What if I don't? Will I be very disappointed? Absolutely. Will all my hard work, practice, and learning be for nothing? I'm happy to say - NO. How can I know that? Because I trust God with the gift and dream he's given me. I've dedicated it to him to use as he sees fit. If I never publish but change lives for Jesus with a blog post or a devotional or an email of encouragement is that not the greatest honor for a Christian? I should be better at everything I do next year because I've worked harder to learn and grow. If I can offer that to God and have him be pleased with my effort what more can I ask for? Do I still want to be published? Yes. What I want more is to be faithful, committed, and sold out to Him. The prize for my dream will never be a book contract or seeing a finished product on a bookstore shelf. It is at the end of every day when God says to me "Well done today." What will it matter if I become a best-selling novelist but lose myself along the way? The things of this earth - gold medals and book contracts - are temporary. The true treasure waits for us every day in the person of Jesus. If we are sold out to him and obedient no matter what the world thinks of us we will never have to say that our efforts were wasted. Where are you setting your sights for success? Are you willing to lay those expectations aside for the purpose of Christ?